Our Twitter followers have been sending in their big fancies for the Cheltenham Festival & there are some that appear more than once, some that we like the look of & others that we're dead against but we'll be wishing the best of luck to all of them over the course of the four days & hoping that we can help out with our own selections. If you aren't already then you can follow us on Twitter @LikeBuyingMoney by clicking the follow button above & get to join in with these picks & keep up to date with our latest blog posts. @danieltnash is going for a bet over the course of the week as he fancies Willie Mullins to be top trainer at a price of 5/4. @StuartMilne9 has two picks going for Sir Des Champs in whichever race he runs in (which looks like being the Jewson on Thursday (4/1) & we're keen too!) plus Montbazon (15/2) in the Supreme Novices on Tuesday. @Cian_k_1994 is also going for Montbazon (a horse Alan King is bullish about) in the Supreme Novices even though he's surely too young to be gambling his brains out! 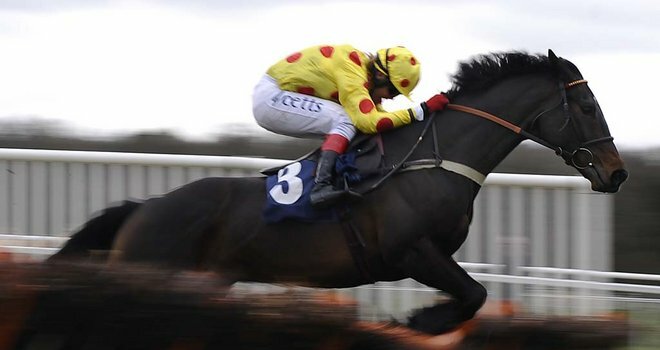 @profitbet (Kevin) is going for Fortification at a massive 25/1 in the Cross Country Chase on Tuesday. @BusbyBoy (Mark) is going for Sadler's Risk in (I presume) the Triumph Hurdle on Friday, he's 6/1 as we write this but I can say that we will be opposing this one. @gazbish85 is going for Jessica Harrington's Steps To Freedom (7/1) in the Supreme Novices on Tuesday. @markq78 is joining Gary above & going for Steps To Freedom saying that many Irish punters will have a great start if that comes in. @Hinters (Andrew) is going for Grumeti (6/1) in the Triumph Hurdle on Friday & we also think that has a great chance along with Pearl Swan. @Thomasfrombrum is going for some adventurous bets with a Long Run & Sprinter Sacre double & a Big Bucks & Buena Vista double plus Captain Chris each way at 40/1 in the Gold Cup. @CMcKenna81 (Colm) is keen on Magnanimity in the 3 mile JLT Specialty Chase on Tuesday saying he was overpriced at 20/1 - he certainly was as 14/1 is the best price available now. He also fancies Cinders and Ashes in the Supreme each way & 10/1 is the price now. @grahamandre reckons Menorah (11/1) has a top chance if he can sort out his jumping in the Arkle. @toddycounago is on Prospect Wells (16/1) in the Supreme Novices & it certainly looks like we have a range of opinions in that race!